The aim was to skill 1 crore by 2020. A year and half later, 3.16 lakh have been placed under the Ministry of Skill Development and Entrepreneurship. With nearly 55 per cent successful placements, the Short-Term Training Program (STT) under PMKVY (2016-20) has successfully trained over 13 lakh candidates, of which over nine lakhs have been certified till February 2018. Placements have been facilitated for 5.98 lakh candidates who were certified by the end of November 2017. 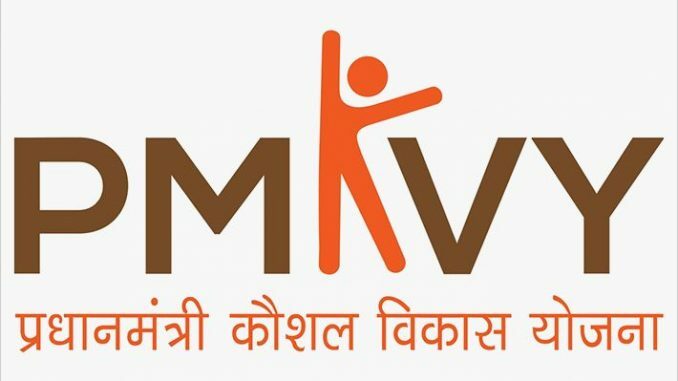 Placements under the PMKVY are categorised into wage and self-employment. Approximately 76 per cent of the candidates have been placed in wage employment and 24 per cent placed in self-employment/ entrepreneurship. Eighty percent of the candidates placed in wage employment across various sectors such as electronics and hardware, apparel, beauty and wellness, agriculture, retail, logistics, leather, telecom, security, textiles and handlooms. “PMKVY (2016-2020) scheme is closely aligned with the industry requirement of a job-ready workforce. Embarking on the Skill India Mission, our endeavour has been to provide superlative quality training in industry relevant job role. The Skill India Mission also promotes entrepreneurship, which is further supported by Mudra Loans and other financial provisions,” said Rajesh Agrawal, Joint Secretary and CVO, MSDE. “Self-employed candidates are encouraged and supported in availing Mudra Loans through the UdyamiMitra Portal. Currently more than 10,000 candidates have applied for these loans,” he added. The PMKVY (2016-20), launched in November 2016 with an outlay of Rs 12,000 crores, is the biggest training and certification program of the Government of India. It aims to skill one crore youth by 2020. In nearly sixteen months of its launch, the scheme has certified over 13 lakh candidates under its two different programs — Short Term Trainings and Special Projects. The scheme’s other component — Recognition of Prior Learning is a certification program that gives due importance to learning as an outcome rather than learning as process. The STT program of PMKVY (2016-20), imparted through the National Skill Development Corporation’s (NSDC) approved training centres, is aimed at benefitting youth who are either school/college dropouts or unemployed. Apart from skills training, the program comprises orientation in soft skills, entrepreneurship, financial and digital literacy. The program encompassing 200 to 1,000 hours of skill training, is designed according to varied job roles. The other component of PMKVY (2016-20), is Recognition of Prior Learning (RPL) comprising 12 to 80 hours of training. It provides recognition to the informal learning or learning through work to get equal acceptance as the formal levels of education. Focusing on workforce in the unorganised sectors, RPL is designed for those who already have a job or are self- employed and require up-skilling and certification for better prospects. Till date, more than 4.5 lakh candidates have been certified under this component of PMKVY (2016-20).